Soil Conservation [Hills], Karbi Anglong. Age: 18 to 43 years as on 01/11/2016 . 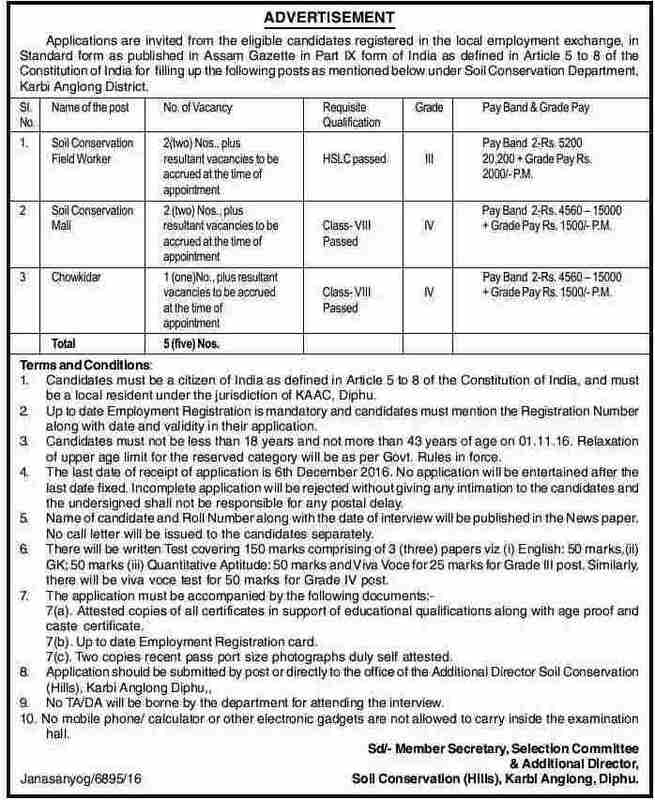 How to apply: Application should be submitted by post or directly to the office of the Additional Director, Soil Conservation [Hills], Karbi Anglong, Diphu.